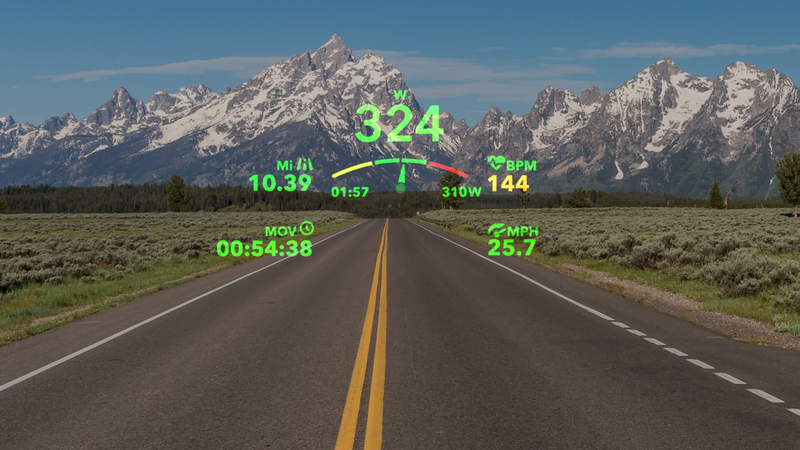 Back in May, we told you about how AR start-up Everysight took its experience creating helmet-mounted displays for fighter pilots and went about developing AR glasses that provide a HUD for cyclists. The biking goggles, which offer a variety of overlays showing various metrics including speed and distance traveled, can even track a rider's heart rate and cadence. The Raptor, as the AR glasses are called, is also Bluetooth and Wi-Fi enabled. Bluetooth is used to link with a smartphone, allowing for customization of the display and data tracking through the Everysight app, while Wi-Fi is utilized to upload and share ride data. Pictures and video from the built-in 13.2-megapixel camera can also be shared. The smartglasses will not be available until February 2018 but Everysight will start taking pre-orders on November 15. The stylish-looking AR units will go for $649 on launch day; pre-orders will receive a $150 discount. The $499 price tag includes a lightweight, on-board computer with GPS and 16GB of storage (a 32GB version will go for about $50 more). There are also a few optional accessories like a $59 controller that attaches to the handlebars, allowing the rider to control the display without having to reach up to touch the glasses. A prescription lens adapter will set you back an additional $29 and tinted lenses will cost an extra $79. There is one catch to pre-ordering though. Due to high demand, pre-orders are by invitation only. Those who register before November 15 are put on a list. Invitations go out to those at the top of the list until supplies run out. You can increase your chances of getting a pre-order by sharing a personalized link on social media. Every time someone clicks your link and registers, you get moved up the list. You can register for an invite with no obligation to buy. The Raptor smartglasses are obviously not for everyone. Casual cyclists need not apply but for the serious biker who is already thinking of investing in a cycling computer anyway, Everysight might be worth considering. Ouch, if this was cheaper it would be awesome.